BS60669. Suitable for filament lamps only. 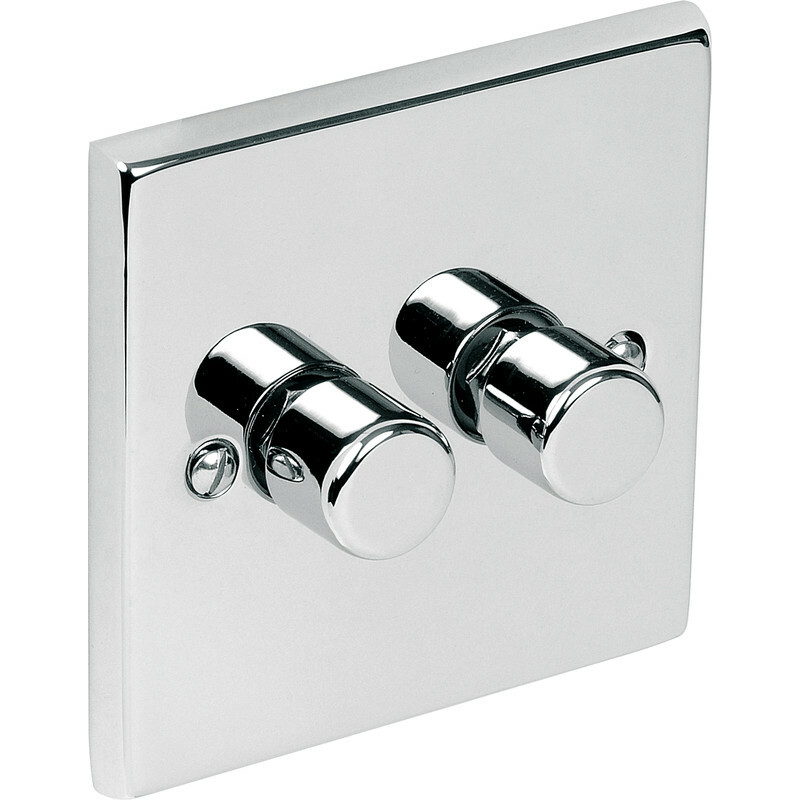 Chrome Dimmer Switch 2 Gang 2 Way 250W is rated 4.1 out of 5 by 7. Rated 5 out of 5 by duffster11 from Rotary Dimmer for Filament bulbs I bought this to replace a more expensive one which could also use LED lights but had stopped working after a few years use. This works just fine for what I need and I would buy again. Rated 5 out of 5 by Barcyn from Very good product and service Very good product, service and price. Can't score reliability yet because it's too soon.